From Queenstown our first stop is the Bob’s Cove Nature Walk, a short distance from Queenstown with diverse native vegetation on the lakeshore zone, bustling with native bird life with the Remarkables mountain backdrop. We continue our drive on one of the most beautiful road journeys to the western end of Lake Wakatipu, where the stunning backdrop of Mt Aspiring National park surrounded by snow capped mountains lies before you to explore. Experience the natural beauty of New Zealand over two days with this Queenstown Super Saver. First up, take a wilderness cruise on Doubtful Sound and enjoy views of rainforests, rugged peaks, waterfalls and wildlife. The next day, cruise to Walter Peak aboard a vintage steamship and explore Walter Peak High Country Farm. Get an in-depth look at rural farm life and enjoy country hospitality with tea or coffee and homemade baked goods. A half day trail ride along the Te Anau - Manapouri cycle trail. Grade 1 - 2. Arguably the most beautiful and scenic bike trail in New Zealand. Get dropped at the end of the trail and ride back at your own pace. This stunning trail runs through the Fiordland National Park and is one of the only two trails/roads where bikes are allowed in the Fiordland National Park. Experience a full-day guided walk on one of New Zealand's premier Great Walks - the Routeburn track, including Key Summit. Tour departs from Te Anau, with a drive along the Milford Road to the track. Ascend through lush forest and into a unique alpine herb field offering panoramic views, this walk offers an incredible day out in the heart of New Zealand’s Southern Alps. Enjoy a scenic drive to Glenorchy which was recently voted by Lonely Planet as “one of the most beautiful drives in the world” and from there we will board the helicopter to the spectacular Martins Bay. We then take a leisurely 1 hour hike along the coast line, hopefully we encounter the Fiordland crested penguin (often seen from July to November) and visit a New Zealand fur seal colony. This extensive 3-hour small group helicopter tour takes in the highlights of Mt Aspiring and Fiordland National Parks. You will visit remote mountain ranges with deep valleys carved by ice, experiencing the diversity of the Southern Alps with their extensive ice plateaus, the temperate rainforests of Fiordland and Milford Sound and the wild and rugged West Coast. See the pinnacle of the National Park, Mt Aspiring before returning to the Matukituki Valley. 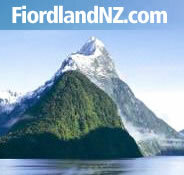 The Milford, Hump Ridge, Stewart Island, Hollyford, Routeburn and Greenstone Tracks can all be walked as guided walks. Your overnight accommodation is in comfortable lodges, with all linen, duvets and towels provided. Hot showers are available and all meals are supplied. Experienced track staff offer expert direction, plus explanations of scenery highlights, flora and fauna. There are also a variety of shorter excursions which you can experience with the aid of a guide. If you have been to this place or done this activity why not post some comments to make this page more useful? Otherwise, read some of the comments that have already been posted.